As I stated at the beginning of the my last article, “Hannity’s Muslim “Friend” Mike Ghouse Goes on Anti-Christian Rant!”, I was not planning on writing anything else on Ghouse. But today Mike came here this morning and left a comment which was full of more blatant lies. Is Mike’s mind so enslaved by Islam that he cannot stop himself from lying? Or is he a glutton for punishment? Maybe both…. No Ghouse, over the three part series I posted ALL of your words from your article that was written in response to mine. I even took some screen shots, while linking to the entire article at the beginning of the first article. Moving along….I did quote your article from the Huffington Post. The following is in part II! The intent of the Sharia laws was to construct a complete justice system with fairness to all members of society. I will gladly quote you again from that article. As an American Muslim who has widely traveled throughout this country, I can strongly affirm that no group of American Muslims has called for the application of Sharia laws in America. You state that you will stand against Sharia Law becoming law. Yet you fight for it to be allowed into US Courts, and even quote the Council on American Islamic Relations (CAIR), in your defense of it. When the Florida Senate failed to take a vote, proposed legislation to ban the use of foreign laws in state courts died. The bill had passed the House easily, and the Senate sponsor plans to reintroduce it next year. The answer seems to be fear that the Shariah law — the Islamic law used in some Muslim countries — will spread to the United States. The more you speak Mike, the more I will show America your true colors. My interest in dialogue with Muslims is to expose their lies, so I appreciate your help. You also did a good work on ducking your anti-Christian rant! Besides being a liar, you are two-faced. Because I am pretty sure there are plenty of Christians working at FOX News. Oh yes….your “friend” Hannity is one. As I said in part I, your argument is laughable. You remind me of a politician who will say anything to to try and get through the moment. Is that any chance you are related to Obama or Pelosi? 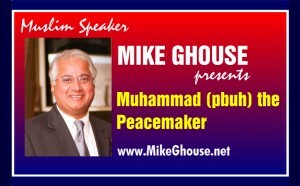 ← Hannity’s Muslim “Friend” Mike Ghouse Goes on Anti-Christian Rant! You placed this Muzslime liar and apologist precisely in the liar’s corner with calm analysis and comparative research yielding ONLY truth. Islam is cloaked behind the beard of ‘religion’ as “peaceful” while it is actually a Manifesto of War, not a religion, and a way of conquer and plunder by the most convincing warriors. Like the Islamic sword both sides of Islam are deadly; the Jihadi and the Apologist! Allowing Sharia as an option to settle disputes between family members is not the same as adopting sharia law – when you file for a divorce you should have the options of counseling, fighting, pastoral counsel, psychologist, Sharia, friends for Muslims – and add halaqa to Jews. What is the issue if two people resolve their difference using any law and on their own will? Allowing it open’s the door for more aspects of Sharia. Jews are not on a worldwide campaign threatening to impose a set of barbaric religious laws on all. Muslims are (already proven) despite what you say. (Readers please note: Each time Mike responds, he glosses over the lies he was caught in.) Muslims lived here for a long time without Sharia in the court system. If that is what they want, they can move somewhere else. American laws for American Courts. No foreign law. Imam Rauf of Ground Zero Supremacist Mosque says in his book you cannot have just a little Sharia: it has to be the whole package. Any private agreement can be implemented if the parties completely agree. Sharia allows discrimination. The US constitution does not. And what concern is it of ours if a grown man wants to marry a 6 year old little girl? Sharia has led to the legalisation of child-marriage in at least 6 countries. Oh but you only want the GOOD aspects of Sharia established in America like maybe the GOOD “interpretations” of Islam. Right Mike? Hmm…? We know what you’re doing. We can see what’s happening in Europe and we don’t want ANY Sharia on American soil ANYWHERE. Sharia violates our American values you “nincompoop”. The issue is imbalance of power: the superior husband & inferior wife whom he can divorce by triple talaq without provision for alimony or child support and to whom he can deny child custody if she is not Muslim or remaries. The issue is inequality: the daughter inherits half as much as her brother. The apostate child is disinherited entirely unless the decedent left a specific bequest. The issue is injustice: the testimony of two women is required where that of one male would be sufficient. We don’t want Sharia because it is DISCRIMINATORY. Our society labored hundreds of years and fought bloody wars over the issue of EQUALITY. We do not wish to GO BACK to the times of barbarity and cruelty that Mr. Ghouse is calling for! Sharia is a draconian legal system. We know there isn’t a ‘moderate’ Islam Ghouse. We know Islam is evil. We know you’re lying. We know you’re a fraud. “we are coming to take back what belongs to us, to regain our land and purify it of… the unbelievers. …. (AtlasShrugs2000.typepad.com 10 Apr 2011). In Islamic terms this is “land restoration”. In Western law it is “territorial aggression” . It calls for self-defence by the state, something that is lamentably lacking in Western governments, leading the observer to conclude that these governments, which we know are infiltrated, are tainted and compromised. It will be up to the citizens to take actions to defend the West. 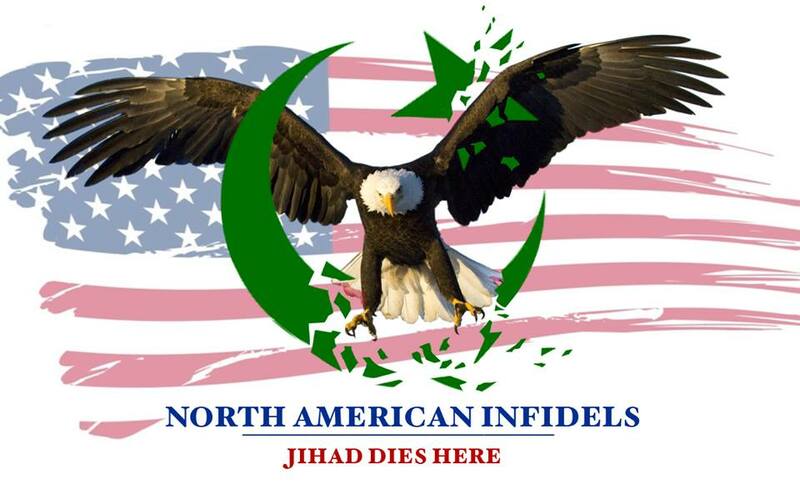 Support “Stop The Islamisation of America”. Support Logan. Support Robert Spencer and Pamela Geller. Only days ago I warned the readers on this site what devious Muslims mean when they speak of justice or fairness for all. An example of fairness to depraved lying Muslims: “It’s fair to relegate all women to second class citizenship.” Depraved Muslims, we Christians don’t think that way. In Christianity, fairness means that all citizens, male and female, should have the same justice accorded to them. We’re all equal in justice in Christianity. Muslims think that apostates who reject the Crime Syndicate of Islam should have their throats cut. Stupid Muslims, Christians don’t think that way. Justice demands that it’s okay for Muslims to reject the criminal activity of Islam. We Chrisitans don’t believe in Honor Killing. You Muslims should leave women alone. If they don’t wish to no longer wear a Muslim rag on their heads, they should have the right to not wear. Yes, it should be all right for girls to smile at an “infidel,” and not be murdered. Mike Ghouse = Insolence Incorporated. Quoting Benjamin Franklin: “We are not a Democracy (nor a muslim country according to Senior Egyptian cleric Safwat Hegazy,not now, not ever). We are a Republic. Democracy (and above mentioned)is two wolves and a lamb voting on what to have for lunch. Liberty is a well-armed lamb contesting the vote. Recently after Service I asked a well- respected and kind former Muslim if Islam can be reformed, to which he gave an emphatic No, stating that Mohammad and his followers wrote down their law for all times and nothing csn be added or taken away. 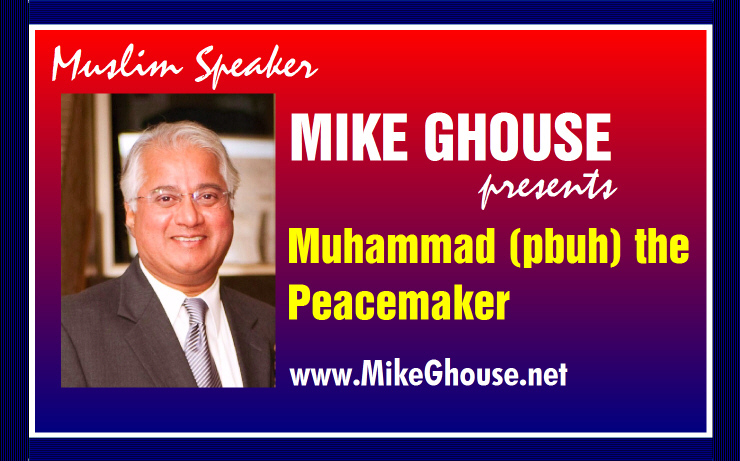 Muslims and former Muslims who know the Koran know the truth,why on earth is Mike Ghouse trying to fool us, which is to no avail, but extremely dangerous to people not familiar with his deception. I must make one comment. First, we are not great Hannity fans. That said, as much as I detest this lying islam excuser Ghouse, we have watched him a few times on Hannity and got a very diffferent impression from what you say above. Maybe we missed something, but we have never hear Hannity treat him as a “friend”. In fact, to our recal this critter was always pushed aside and his opponent guest assisted in ripping him apart. Maybe you have seen otherwise on an occasion we missed, but in our experience he has been anything but a friend. How is the world’s leading infidel couple doing? In the video below Hannity said “our mutual friend” in regards to Ghouse when he was talking to the want to be Ground Zero Imam Rauf. The Constitution and Bill of Rights are supreme law in America.